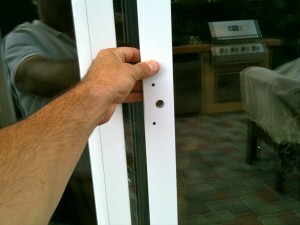 I make new sliding screen doors in Newbury Park custom made on the spot. Measured for the best fit and slide. All the screen doors are all metal and the hardware parts are all metal as well. I guarantee them for 10 years. Newbury Park screen doors replaced and repaired is a big part of my business. Most of the clients who call me are having problems with their sliding screen doors falling off track, bent screen doors or just plain missing screen doors.